Unlock LG Cookie Lite T300 - Safe IMEI Unlocking Codes for You! 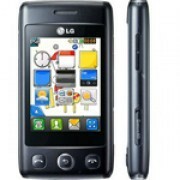 Unlock LG Cookie Lite T300 Handset! In case your Cookie Lite T300 doesn't ask for the code and there is no designated field to enter it, please DON'T PLACE ANY ORDER, contact us first for support. Do you want to unlock your LG Cookie Lite T300 phone? Do it now and use it with any GSM SIM Card worldwide! Once you receive the code and also the instructions, you will be able to unlock your mobile phone in less than 5 minutes! The codes can be used for the latest models, such as: LG Quantum, LG Thrill, LG Optimus Mach LU3000 and others! Discover here All the Phones We Unlock! Note: Please make sure first that your LG Cookie Lite T300 is not “Hard locked” in which happens if it was entered an wrong code too many times previously. It will display 0 attempts to enter the unlock code if its hardlocked. If it is a brand new phone there is nothing to worry about. Please contact us first, if you are not sure of the phone’s history because there is no refunds if there have been too many previous attempts to unlock your phone with an incorrect code. How to Unlock LG Cookie Lite T300 Phone - Tutorial! Please find bellow a step-by-step guide. The IMEI of your LG Cookie Lite T300. The country and network where your cell phone is SIM locked. Remember we need the original country and network of your phone! 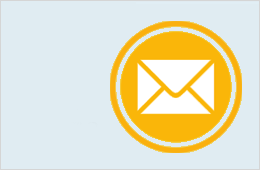 Your email address where you want to receive the code!